As conversations about the future of the university and the value of a liberal education continue to proliferate in a hostile market economy deepening the intellectual division of labor, the "engaged university" model has emerged as a potential solution to making academia relevant. For University of Florida anthropologist Faye V. Harrison, the term engagement is not an appropriated buzzword. Grounded in global critical race feminism, her three-decade long career has been marked by dedication to publicly-engaged work about people who produce and apply both academic and nonacademic kinds of knowledge. Her research agenda goes beyond the ivory tower and into what she calls "peripheralized" and "minoritized" areas, engaging peoples typically left out of processes of knowledge-making. Thus, it was not surprising when I arrived to meet with Harrison at the American Anthropological Association (AAA) annual conference several weeks ago that she was in discussion with fellow anthropologist Yasuko Takezawa of Kyoto University, co-organizing a three-session panel of scholars on "Engaging Race and Racism in the New Millennium: Exploring Visibilities and Invisibilities" for the International Union of Anthropological and Ethnological Sciences (IUAES)intercongress in Chiba, Japan that will be held in May 2014. For Harrison, who was elected president of IUAES in November, this will be her first official convening. An active member of the organization since 1993, she has led the Commission on the Anthropology of Women as well as served on the Union's Executive Committee. The election is historic on a number of fronts including its association with the restructuring of the organization, its revised statutes and by-Laws, and a notable shift in governance toward greater transparency and democratization. An obvious result is an increase in the number of women on the Executive Board of IUAES, which was once reputed to be an "old boys club." Needless to say, she has shattered ceilings as the first Black person and only the second woman to take the helm in the history of this organization that was founded in 1948, but with an earlier predecessor organization by a different name dating back to 1865. Harrison believes her leadership "signals that the organization is taking an explicit 'decolonial turn.'" News of her presidency was met with support from colleagues. During her five-year term, she hopes to regularize the democratic principles recently put into place and enhance cooperation among the commissions, which are the intellectual heart of the Union. She is bent on revitalizing the organization and intends to "set the tone and inspire action to bring our transnational-community-building experiences within the reach of more colleagues in the global south." She is particularly interested remedying the under-representation of Africans, where the infrastructure and institutional support for anthropology are limited. This position could not be more fitting since within the discipline Harrison is recognized for an unmatched commitment to global perspectives both in theory and in praxis. As Lee Baker, Duke University Dean of Academic Affairs, notes, "Harrison is an incredible and influential scholar, committed teacher, and a national and an international leader. She is as engaged in high-level meetings with the UN as she is with a group of undergraduates in the classroom." Her most valuable contributions, he asserted, cannot be connoted in a curriculum vitae. Harrison came to anthropology inquisitive about her lived experience as a child growing up in the South, where racial segregation was deeply institutionalized. She said, "I couldn't help, but wonder about race and racial discrimination. Did they exist everywhere and were they constituted differently in other places where they existed?" By the time she took a course at Brown University as an undergraduate with a penchant for world geography, she realized that she had been interested in anthropology all along, as it provided a framework that brought her interests in feminism, politics, history, international relations, African/Black literature, Latin American studies, and the performing arts together and allowed her to synthesize and articulate meaningful questions for her research and scholarly pursuits. Her curiosity revealed a calling that became an endeavor. A self-proclaimed "outsider-within," Harrison eschewed the normative path of most scholars, conducting international research in Britain and Jamaica and, more recently, in Cuba and the U.S. south while being actively engaged in reworking the discipline. A prolific writer, she has produced key texts on the persistence of racism, gender and political economy, and structural violence while collaboratively participating in the promotion and administration of the Association of Black Anthropologists, decolonizing anthropology and African-American pioneers, AAA Race and feminist, antiracist, human rights projects among others, as well as, what I call "Post-Zora Interventions." Her anthro-performance work challenges the constrictions of theory, which is too often narrowly mapped in the academy. Harrison fundamentally believes the arts have a place in anthropology not just as expressive culture in need of decoding, but as a modality for producing ethnography. In that sense, she has been both on the frontline and at the forefront of movements creating work that has led to more diverse and multi-vocal approaches within the discipline for which she is well-known. And with the paucity of minority anthropologists in the association -- full disclosure -- I consider her a virtual mentor. As a graduate student, she was a role model, a senior scholar one could look to who was inventing new ways of doing the professional track as an academic re-forging paths in the tradition of her own mentors while unabashedly committed to her political convictions. An award winning mentor and sought after public lecturer, Harrison recently delivered the 10th Annual Public Anthropology Conference keynote at American University. 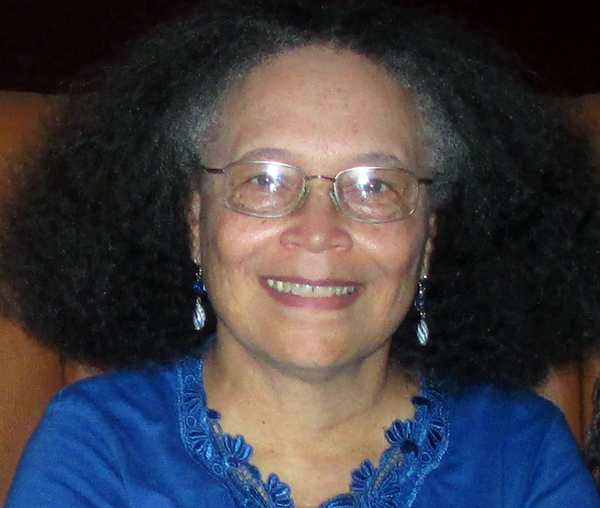 Her aptitude for and devotion to this field stems from the influence of mentors (at Brown and Stanford where she earned her doctorate) such as feminist anthropologist Louise Lamphere, the playwright George Houston Bass, the Pan-Africanist, activist scholar St. Clair Drake, the radical Africanist Bridget O'Laughlin, feminist sociolinguist Michelle Rosaldo and others. Harrison proudly proclaims that she belongs to an intellectual tradition "in which scholarly excellence, social responsibility and struggle have been cornerstones." Thus it is only logical that at this phase of her career, she should be called upon to lead "the oldest worldwide association for scholars engaged in the scientific study of humankind" onto the global stage. Those of us who wish to align our scholarly endeavors with activism, advocacy, policy reformation and reaching wider audiences should be encouraged to do so. Moreover, the organizational means should exist to facilitate those pursuits. I don't want my students and my son, who is also a cultural anthropologist, to replicate the disciplinary alienation and negation that generations before them experienced. I'm working toward the anthropology I optimistically envisioned when all those years ago, I decided that I wanted to be an anthropologist when I grew up.